Nah, its ill bars on bars on bars. “With acts such as Bobby Shmurda and Troy Ave making noise in the industry, its safe to say New York is trying to make a comeback on the music scene. 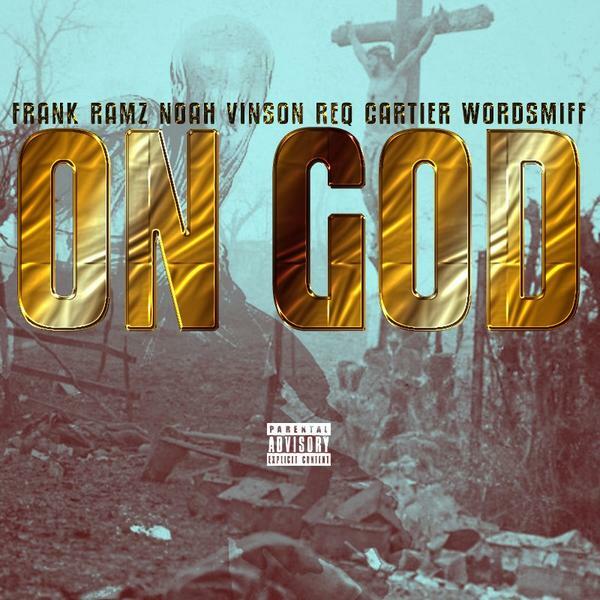 A couple of fairly known up & coming artists from NYC are attempting to shake the game right behind Shmurda & Ave. Frank Ramz & Noah Vinson (of The Bronx) team up with ReQ Cartier & Wordsmiff (of Brooklyn) to bring hip-hop lovers “On God”, a track which can only be described as a lyrical roller coaster. “On God” is set to appear on Ramz/Vinson’s “And The Phone Was On Silent” EP along with a possible sighting on ReQ Cartier’s “The Suite Life 2” & Wordsmiff’s “BOE III”. Listen to “On God” now on SoundCloud.